In this Python Matplotlib tutorial series, you will learn how to create and improve a plot in Python using pyplot. Matplotlib is a 2D plotting library written for Python. It consists of pyplot (in the code often shortened by “plt”), which is an object oriented interface to the plotting library. Matplotlib is an initiative of John Hunter, Darren Dale, Eric Firing, Michael Droettboom and the Matplotlib development team. Lets stop talking and start creating some beautiful plots using Matplotlib! 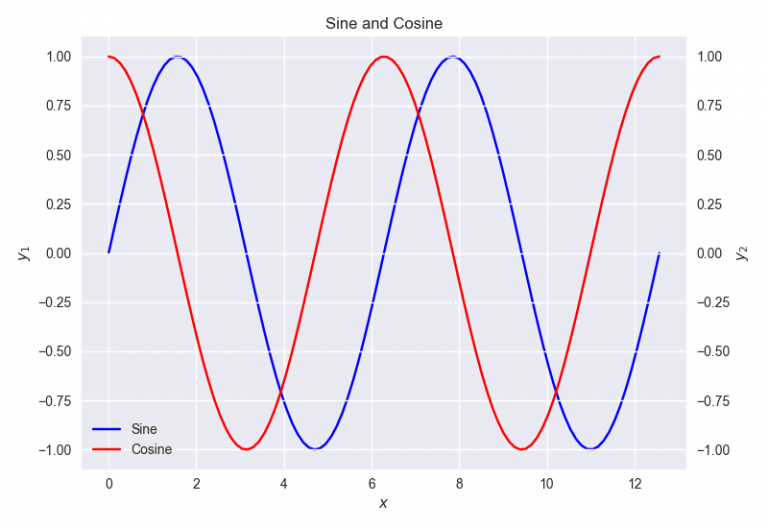 In this post, we will gradually build a data visualization of two simple functions: sine and cosine. First, the main concepts are explained and then the step-by-step tutorial is explained. We will now create two very, very simple plots. One containing $latex y_1 = \sin(x_1)$ (sine) and the other one containing $latex y_2 = \sin(x_2)$ (cosine). For the calculations, we use NumPy (shortened by “np”). 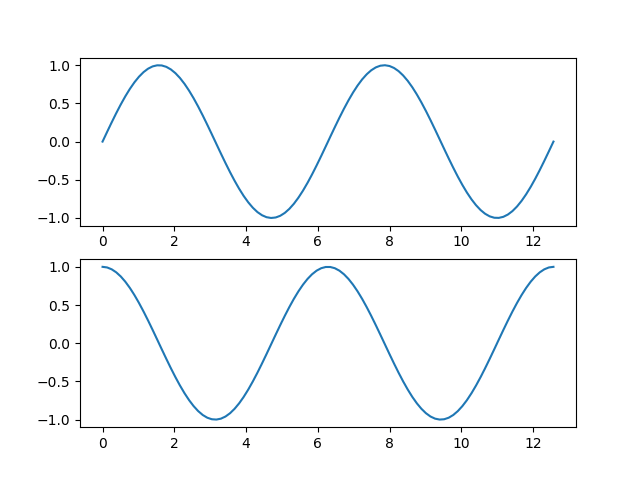 Matplotlib is often used in combination with Numpy. The code should be self-explaining (if not, please mention it in a comment). 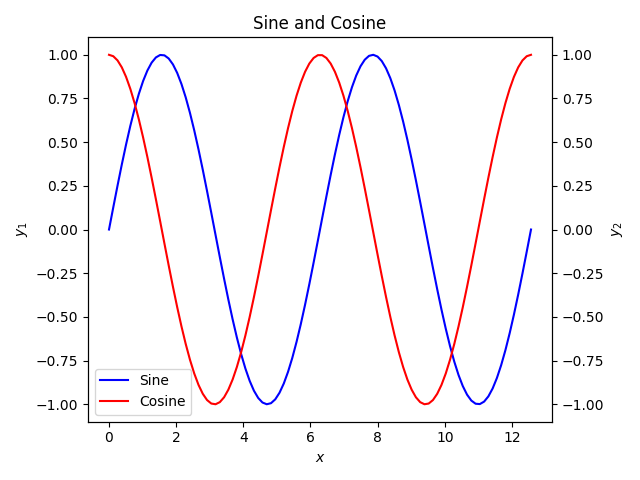 Plot of Sine and Cosine (version 1). Plot of Sine and Cosine (version 2, combined x-axis). However, notice that this plot is quite simple. It is not even clear which line belongs to what function. In the next few sections, we will add gradual improvements to the plot. The first improvement is to add a legend. With the legend, it becomes clear what line belongs to what function (either sine or cosine). Plot of Sine and Cosine (version 3, added a legend). Notice the loc=0 parameter. This sets the location of the legend. loc=0 automatically selects the best place for the legend. There is one clear downside of our current figure now. All the functions have the same color. The next improvement adds color to the plot. Plot of Sine and Cosine (version 4, added color). 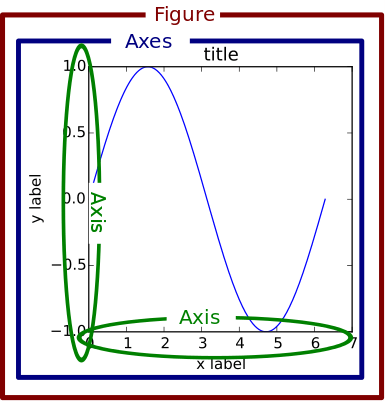 Plot of Sine and Cosine (version 5, added title and axis labels). This already is a great plot. In the last step, we will use a different rendering engine (build on top of Matplotlib) so all our code is reused but our plot gets improved! 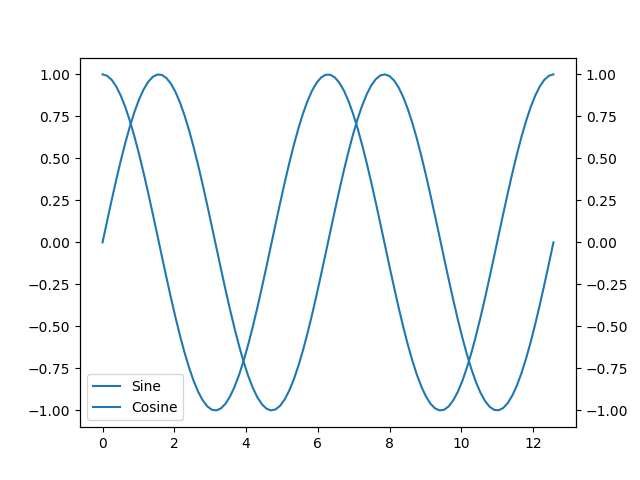 Plot of Sine and Cosine (version 6, using a different rendering style). In this section, I will highlight some videos I found excellent for learning the concepts of pyplot. 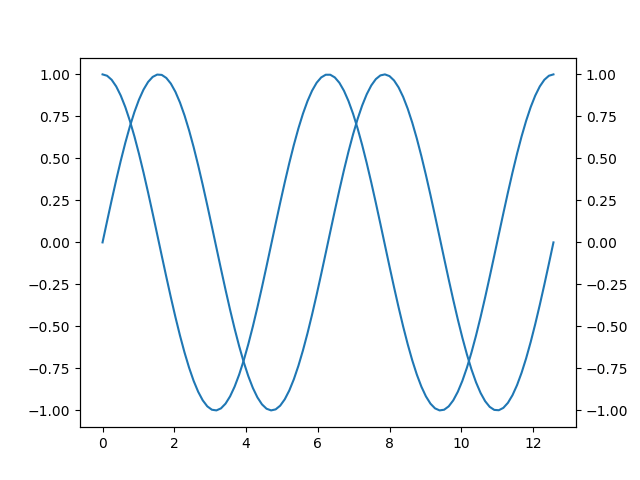 It is quite easy to create plots using Matplotlib. This tutorial shows the steps to build a plot gradually. If you have any questions, please let me know in the comments.